Every year over 4 million infants in the developing world die within a month of birth. Half of these newborns would survive if given a warm and clean environment in which to grow stronger. In developing countries, not only is there limited access to modern, high-tech incubators, but a lack of infrastructure and replacement parts render such devices worthless. NeoNurture takes advantage of an abundant local resource in developing countries: car parts. The incubator leverages the existing supply chain of the auto industry and the technical understanding of local car mechanics. The incubator uses sealed-beam headlights as a heating element, a dashboard fan for convective heat circulation, signal lights and a door chime serve as alarms, and a motorcycle battery and car cigarette lighter provide backup power during incubator transport and power outages. NeoNurture has been featured in exhibits and publications worldwide. It was listed as #1 in Time Magazine’s 2010 issue, “The 50 Best Inventions of the Year,” was featured on ABC News and CNN, and was showcased at the Smithsonian Cooper-Hewitt Design Triennial in 2010. Tackling the need for both lighting and reading materials in adult literacy classes in the developing world, the Kinkajou Microfilm Projector was designed as a rugged, lightweight, low-power projection system. Kinkajou uses a microfilm cassette to store up to 10,000 images at a fraction of the cost of paper books. The system also employs state-of-the-art LED lighting and low-cost plastic optics adapted from “View Master” toys to project an image large enough for the entire classroom to read. The design requires no tools more complicated than pocket change for maintenance, and includes a battery, charge controller and solar panel for off-grid use. 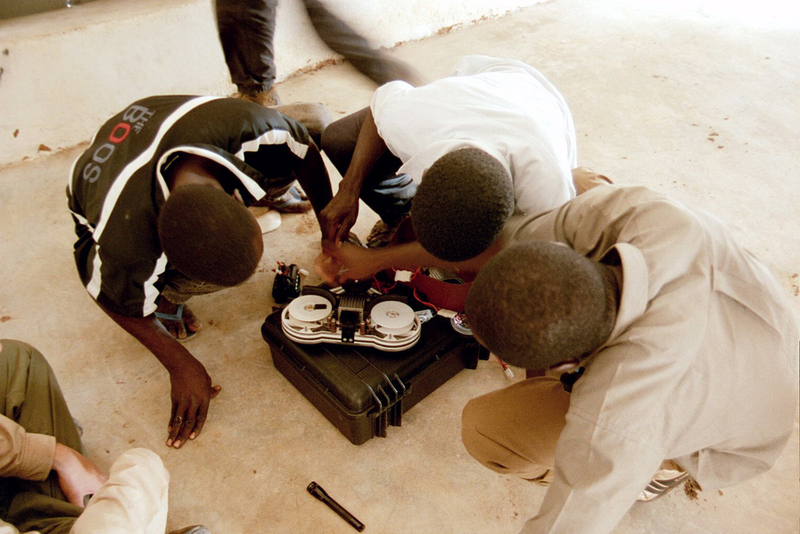 In 2004, with funding from USAID, World Education implemented Kinkajou Projectors in literacy centers in 45 Malian villages, teaching over 3,000 adults to read. The results of an independent, two-year pedagogical impact study completed in Mali with World Education in 2005 showed that performance in Kinkajou nighttime classes far exceeded that of non-Kinkajou nighttime classes, and even exceeded the performance of World Education’s daytime adult literacy classes. DtM’s Kinkajou has received worldwide attention and recognition including the Tech Museum Award Laureate 2005, INDEX: Award Top Nominee 2005, Design News Awards 2004, and MIT IDEAS International Technology Award 2003. DtM has received inquiries about the Kinkajou from 30 countries including Uganda, Kenya, Nigeria, Sri Lanka, Nepal and Honduras.